Arm & Hammer has a great new coupon! 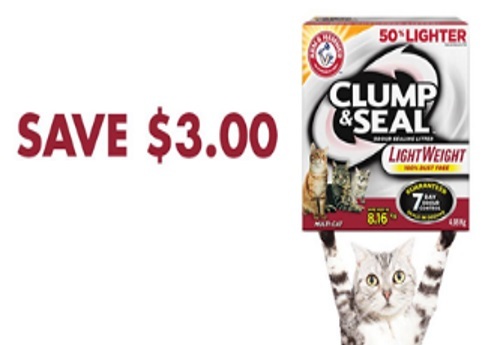 Save $3 off when you buy Arm & Hammer Clump & Seal lightweight cat litter! This product is great, I recently switched to this from Maxx Scoop. This is a printable Smartsource coupon, available while quantities last.